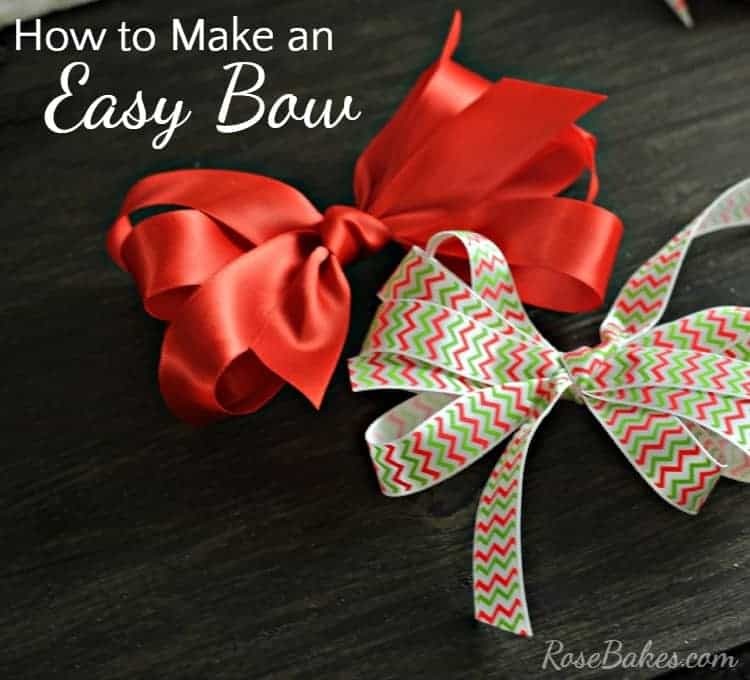 You may have seen this already or you may have missed it because the post was so long, but just in case, I wanted to point out to you my tutorial for How to Make an Easy Bow. 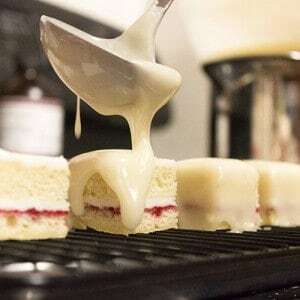 Now when you click over, you’re going to see the title is about Pralines & Cream Fudge (and you should absolutely make that too! 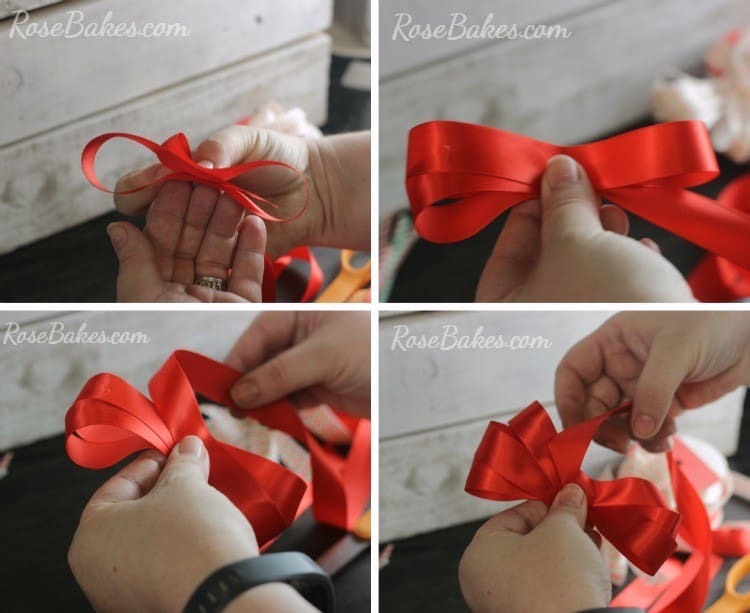 ), but if you scroll past that… surprise – the bow tutorial! 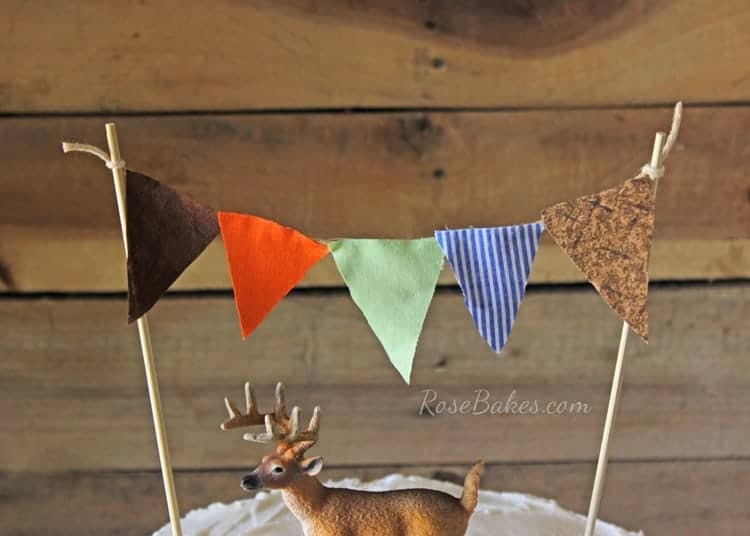 That’s right, in that post I also included a step-by-step tutorial for how to make these really pretty ribbon bows. And if you happen to be handicapped when it comes to craftiness (like I am), I promise – they’re so, so easy… I’m pretty sure anybody could make them! See, that doesn’t look hard, right? Scroll all the way to the bottom for an image perfect for Pinning! I’ve been making these bows and using them on all kinds of goodies that I’m giving away and gosh – I just love how easy and pretty they are! 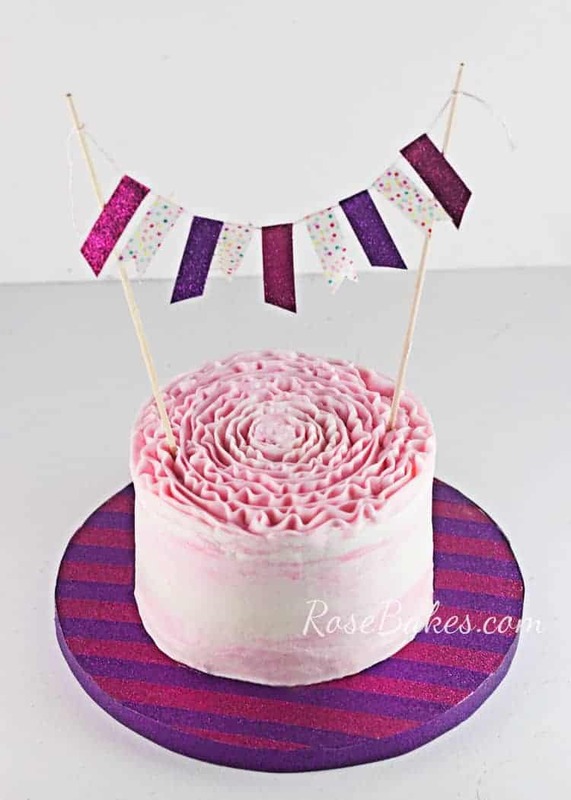 How to Cover a Cake Board and Make a Matching Bunting Cake Topper!